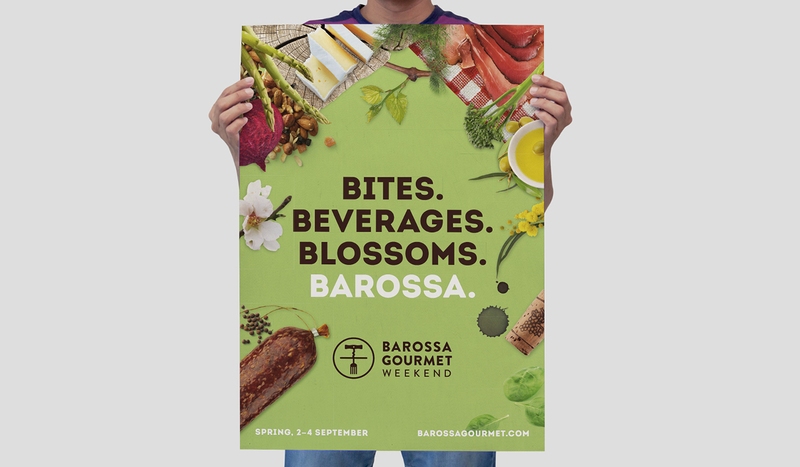 Recently Tourism Barossa approached Algo Más to give the Barossa Gourmet Weekend, an annual event in the Barossa which encompasses 30 events over three days, a much needed facelift. The region is renowned for its wine, fresh seasonal produce, beautiful landscapes and easy-going lifestyle, so we wanted to capture all of this in our branding. 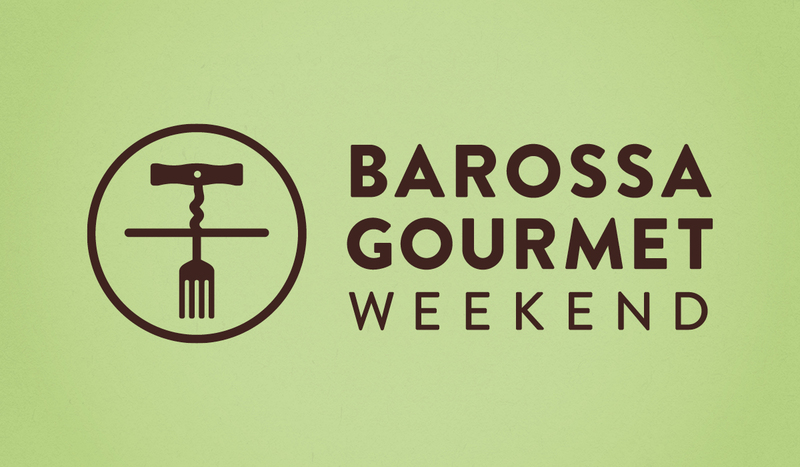 Our solution was to develop a logo for the Barossa Gourmet Weekend that features a wine corkscrew twisting through the earth until it becomes a fork, representing tradition and history as well as the refined tastes that the Barossa is known for. The implementation in the poster is fun, bright and contemporary – it includes food and flower imagery in a collage style, bringing a bright and quirky flavour with some tongue-in-cheek humour. The headline aims to capture all of the elements of the event and the Barossa itself, without focusing too much on wine alone.